Natalia talked about her personal life, in particular, about the reasons for the divorce with ex-husband Justin Portman, about the father of his two younger children, beloved Antoine Arnault, and also mad diligence. 35-year-old supermodel Natalia Vodianova a few days ago gave a frank interview to the British magazine London Evening Standart, owned by the Russian oligarch Evgeny Lebedev. "My first husband was an aristocrat, he did not work, but he was a walking encyclopedia, noted the Internet portal www.ekhoplanet.ru. My second husband is a workaholic. I'm also a workaholic. That's why it did not work with my ex-husband. We loved each other, but we split like water and oil: our daily life was different. 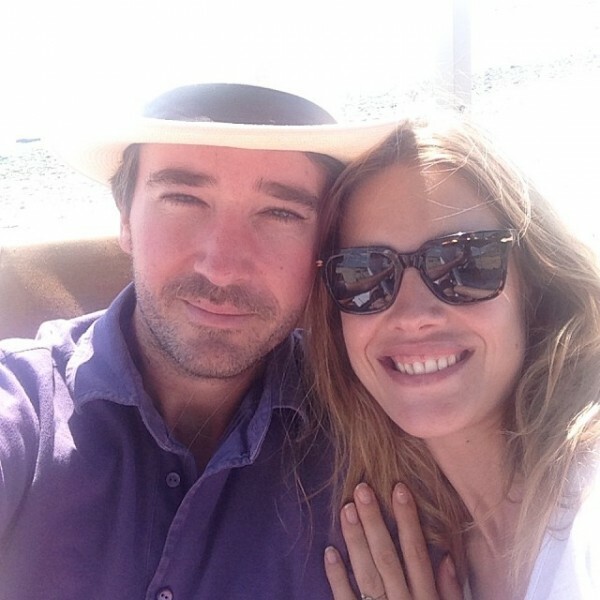 Our rhythm of life was different, "Natalia Vodianova said in her interview about her ex-husband. Natalia Vodianova told why she broke up with her ex-husband: my first husband was an aristocrat, he did not work Natalia married Portman when she was 19, and gave birth to her first child. 10 days after the birth, she started to work - made 40 show-shows this season. "He had free time to follow me and our child in my crazy career. I thought that it did not matter that we were so different, therefore we emotionally supported each other, "the supermodel confessed. "With Antoine, we like to get up in the morning, be with children, and then go to work. For me, work is my life. I think, in this sense, we are very well balanced. He inspires me, and I think that I inspire him because of the same energy that I give, but for philanthropy, "Natalia said. Natalia and French businessman and the general director of the fashion brand Berluti Antoine Arnault have been together for more than five years. The couple has two joint children - Maxim (2014) and Roman (2016). They also bring up Natalia's three children from a marriage with British lord Justin Trevor Berkeley Portman: Lucas Alexander (2001), Neva (2006) and Victor (2007). The Russian model and the British aristocrat broke up in 2011. After the break, the star mother took the children and moved to the motherland of her new lover, to Paris, and Justin Portman moved to Uruguay. Supermodel Vodianova also noted that it was not easy for her to live in the world of the English aristocracy: "This is a beautiful world, yes. But if you were not born in it, it can be very difficult to be a part of it. I was born in a working family. And when the situation became really desperate, I had to go to work. I was very young. My mother had four jobs, raising children alone. She taught me to rely only on myself. She told me: "No one will do anything for you, so you need to be strong." "Last night I stood and thought:" My husband is already in bed. I could cuddle with him. Or I could chat with my children. Then I said to myself: "Shut up! Stop that! You're crazy! But there's nothing I can do about it. I continue to work when, in principle, I no longer need to work. Although I feel guilty for workaholism, "- admitted Vodianova.